Our SUPERB house has just been fully refurbished. 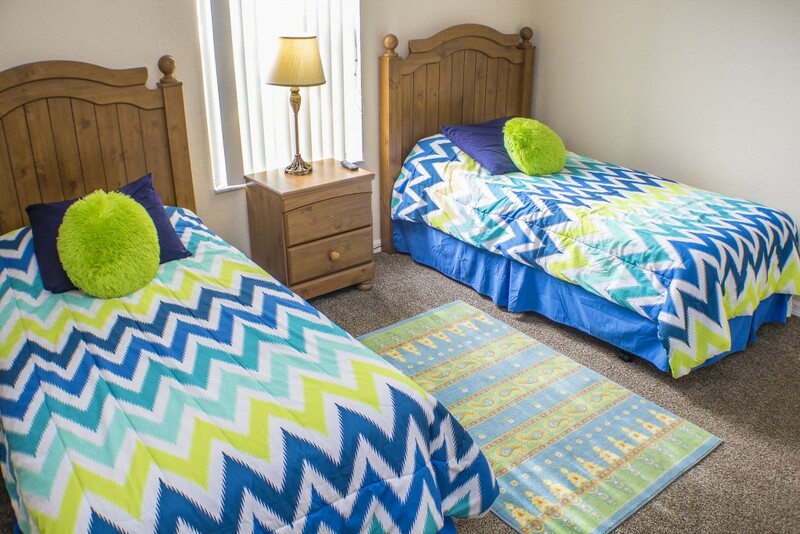 There are 4 spacious bedrooms & 3.5 bathrooms. 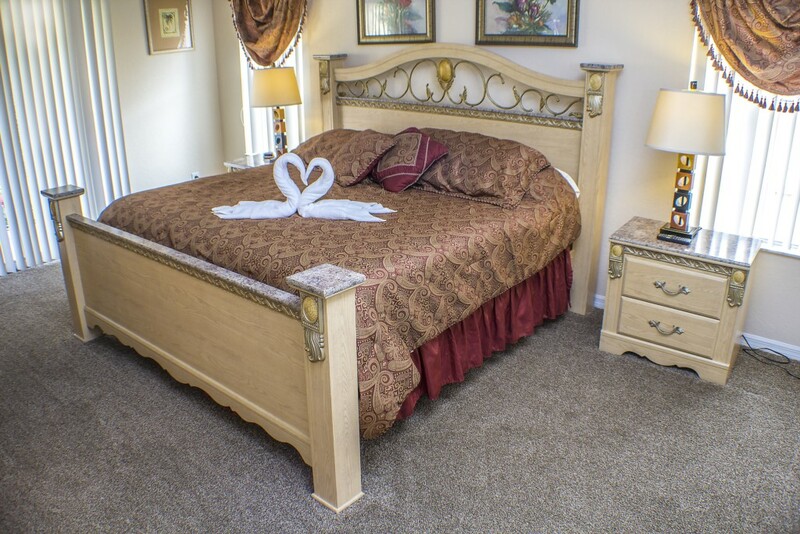 Master suite 1 has a lovely king sized bed,32" flat screen tv, an en-suite bathroom & a private balcony. 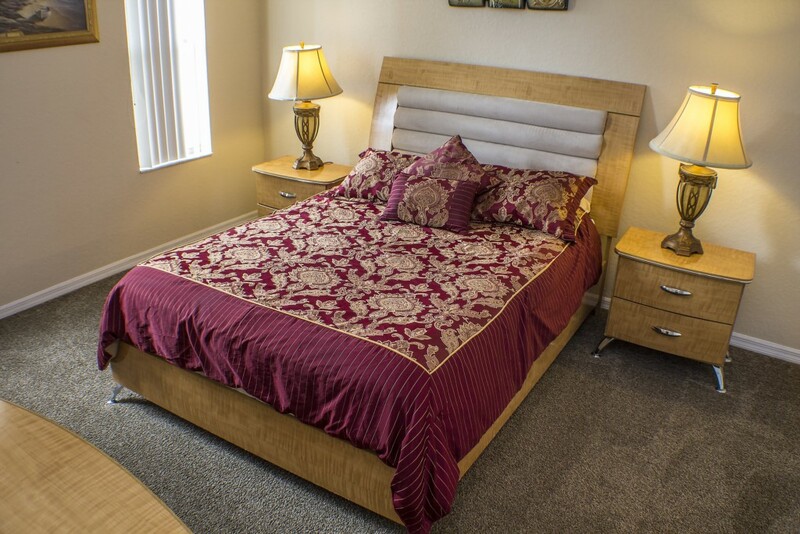 Master suite 2 is on the ground floor level & has a queen sized bed,32" flat screen TV & en-suite bathroom. 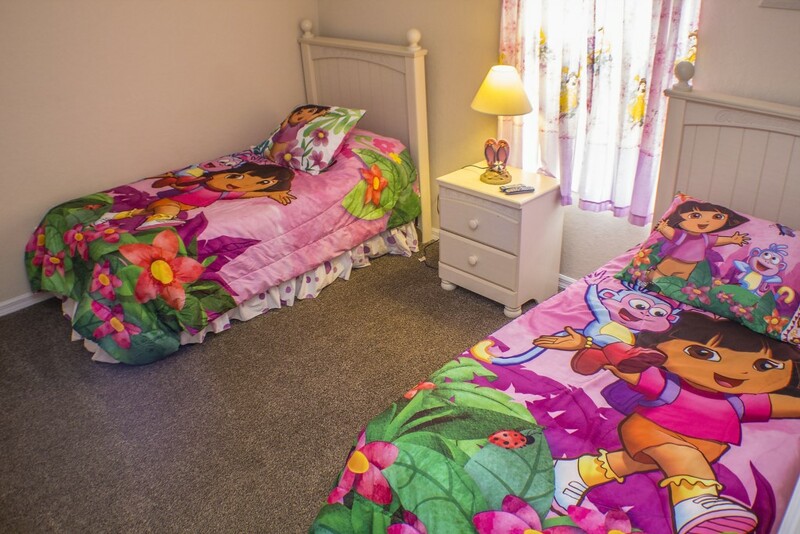 Bedrooms 3 & 4 each have 2 twin beds & a flat screen TV. They share a further bathroom. 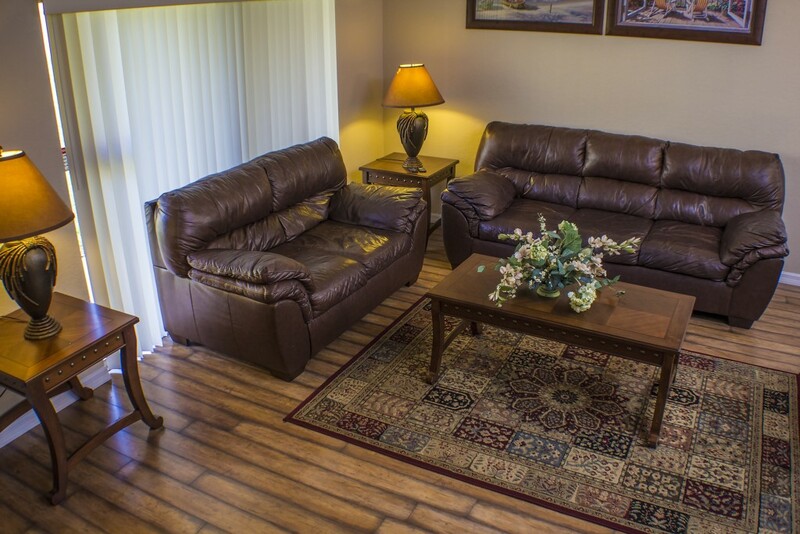 Guests can relax in the living room after a long day exploring all that Central Florida has to Offer and watch the 50" flat screen TV & DVD. 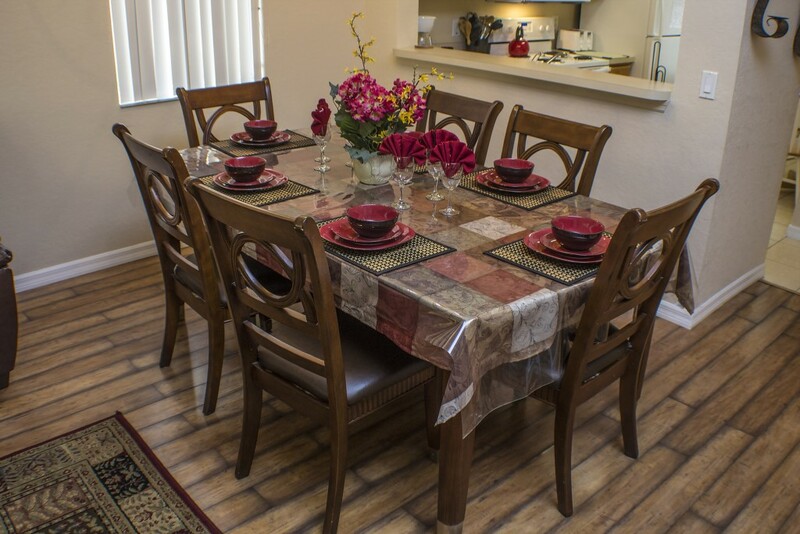 There is a formal dining area for 8 guests & further breakfast dining in the kitchen. 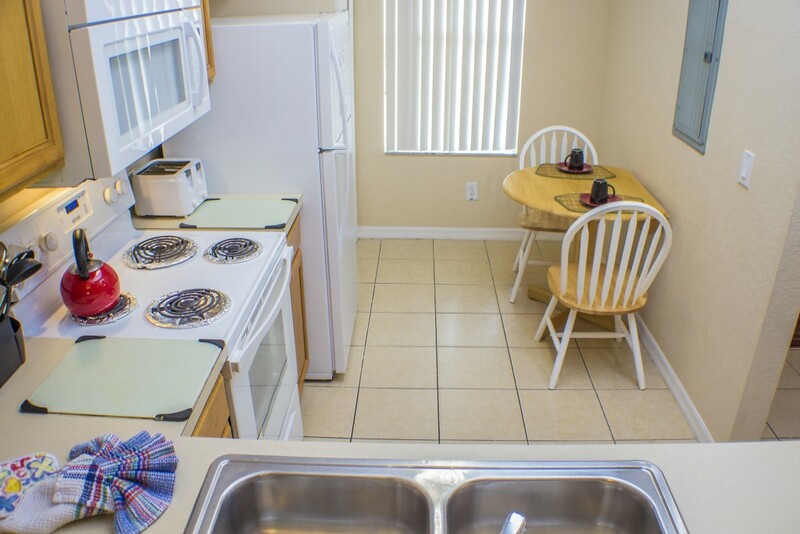 The kitchen is fully fitted & equipped so that guests can prepare a full meal,if required. There is also a full size clothes washer & dryer so you can keep the laundry down whilst you are away! 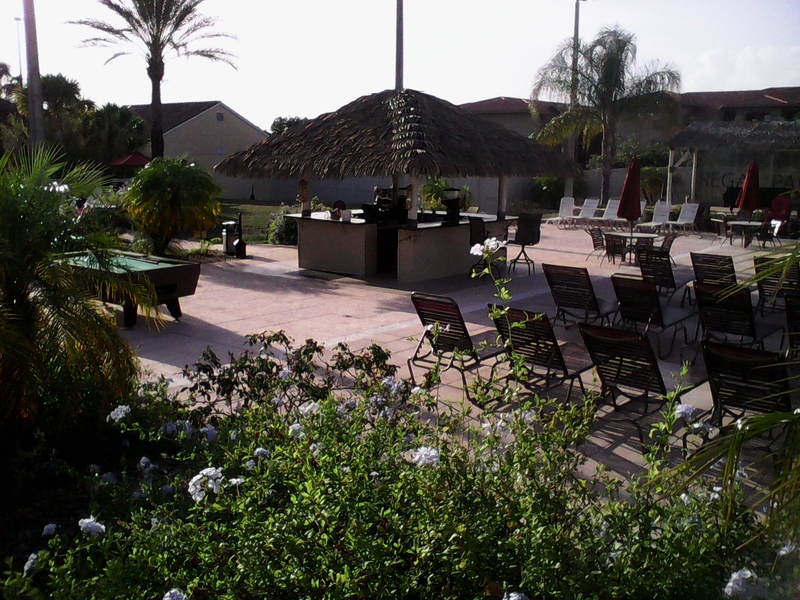 IN ADDITION TO THE HOUSE,GUESTS HAVE THE FULL USE OF ALL THE FANTASTIC,REGAL PALMS RESORT FACILITIES AT NO EXTRA COST! 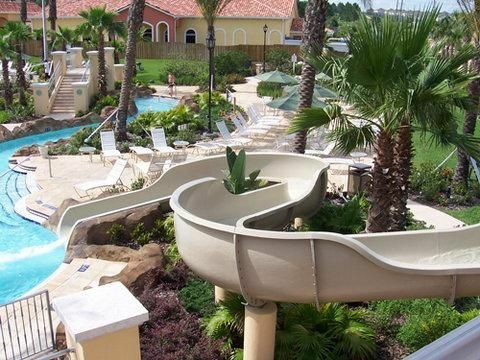 You could relax in the tropical swimming pavilion with its 2 sparkling pools,water slide & lazy river. The pools are heated during the cooler months. 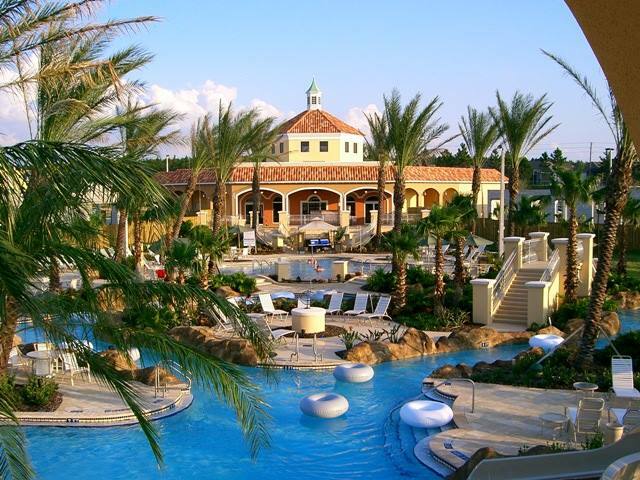 If you really want to chill out pay a visit to the Cenote day spa at Regal Palms.For a small additional fee you can choose a variety of soothing spa treatments. 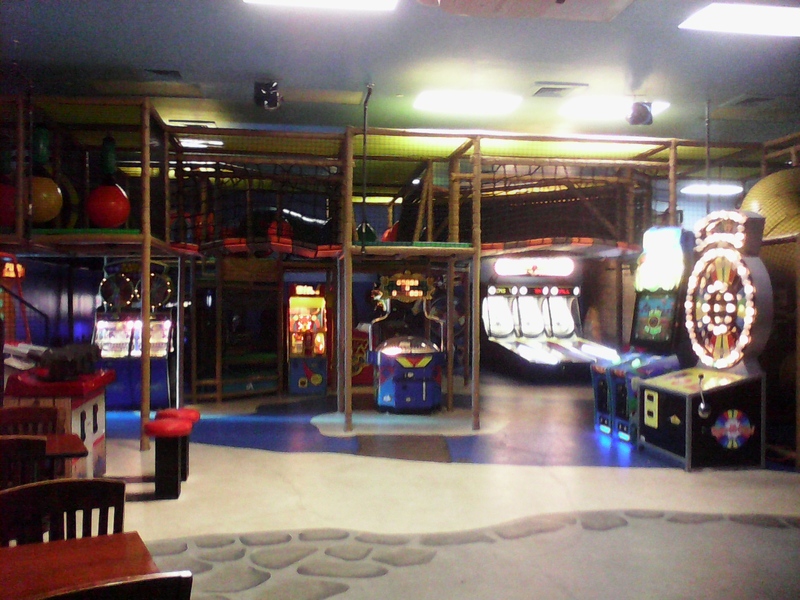 There is a gym,which is located within the main Resort Complex, featuring a wide variety of fitness equipment, including life cycles, cross trainers, treadmills and strength training. With picturesque views of the resort's swimming pavilion, the gym offers the perfect environment to recharge the body. Enjoy a refreshing tropical beverage while relaxing on the covered patio, overlooking the sparkling swimming pavilion or venture inside for more private experience.Frankie Farrell's restaurant and bar offers a delicious selection of food for breakfast,lunch and dinner.Why not give them a try? There is a Publix supermarket for all your grocery needs adjacent to the resort at Berry Town Centre. There's so much to do you just have to find the time! 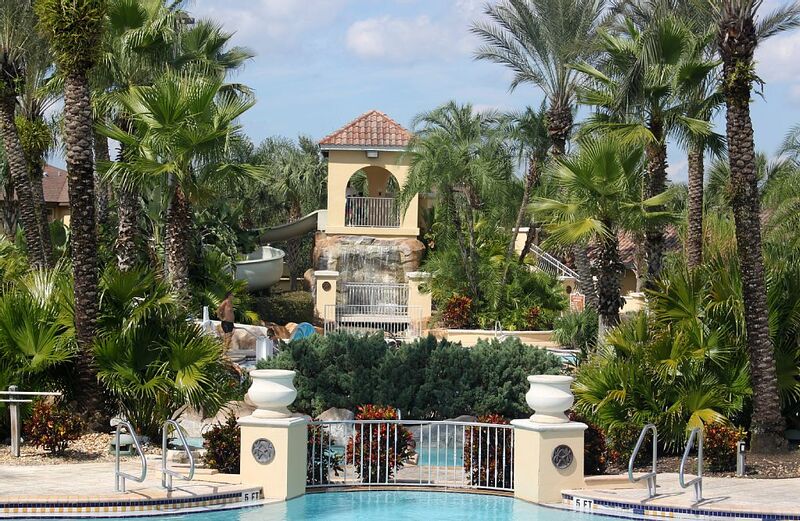 Regal Palms Resort & Spa is the ideal location for your Florida vacation! Disney is just 15 minutes drive away with Seaworld & Universal being under 30 minutes drive. Legoland & Tampa's Busch Gardens are around 45 minutes drive away. The beautiful white sandy Gulf Coast Beaches are around an hours drive to the west,definitely not to be missed! Florida's Atlantic coast with the Kennedy Space Centre & the surfer's haven at Coco Beach are around an hours drive to the East. For the golfers,Highlands Reserve golf course is right next to the resort.You can enjoy a great round of golf at very reasonable rates. 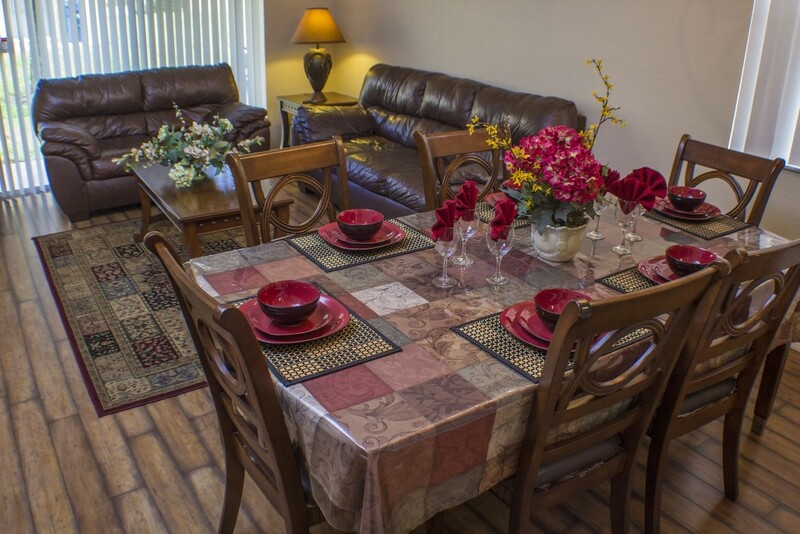 There are loads of attractions & shops to suit all tastes & pockets a short drive along highways 192 & 27. 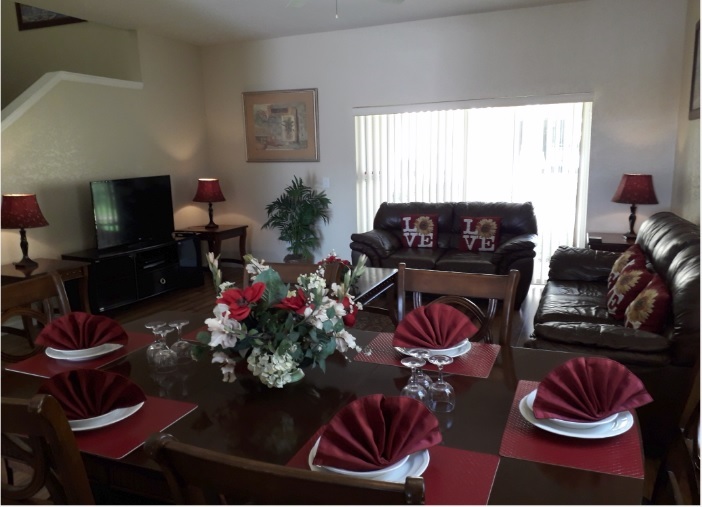 Regal Palms Resort is the perfect environment for guests looking for Orlando vacations with a home away from home feel, combining a wide array of activities and relaxing amenities with the privacy and spaciousness of your very own Vacation Home rental or Town Home. 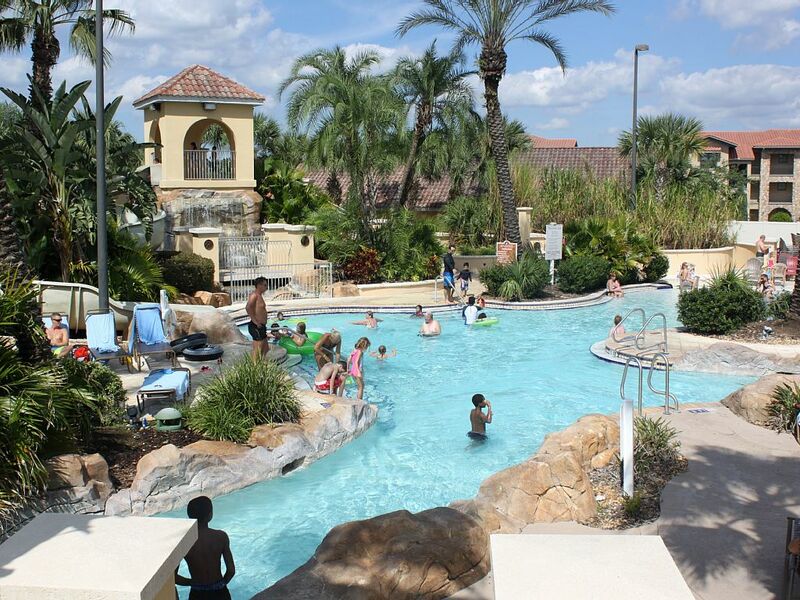 While there are many things which make Regal Palms Resort Orlando stand out among other Disney Area Vacation Rental organizations, one our guests appreciate most is our centralized 24-hour reception, located just inside the resort's Clubhouse. 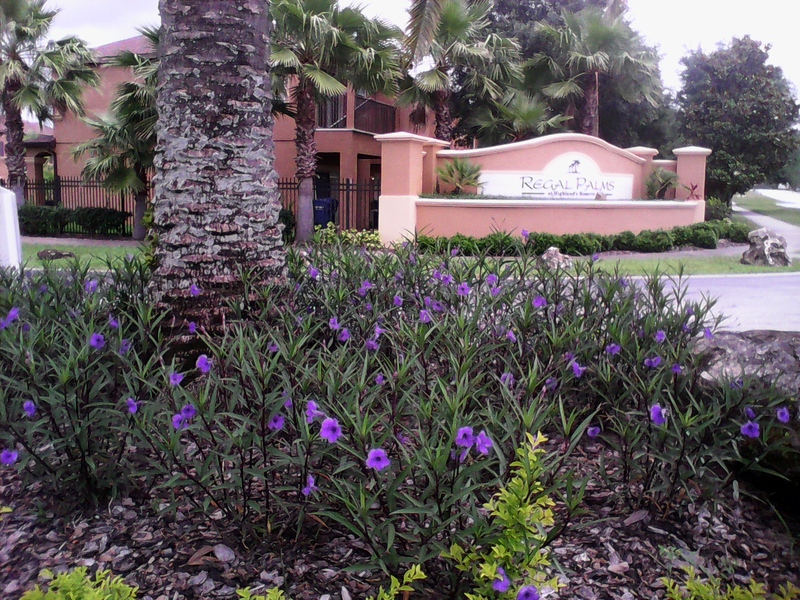 Situated next to the Highlands Reserve Golf Club, and just minutes from the excitement of Walt Disney World and other attractions that Orlando has to offer, Regal Palms Resort Orlando offers a quiet retreat off the beaten path where you can spread out and enjoy spacious self-catering accommodations paired with full service amenities. 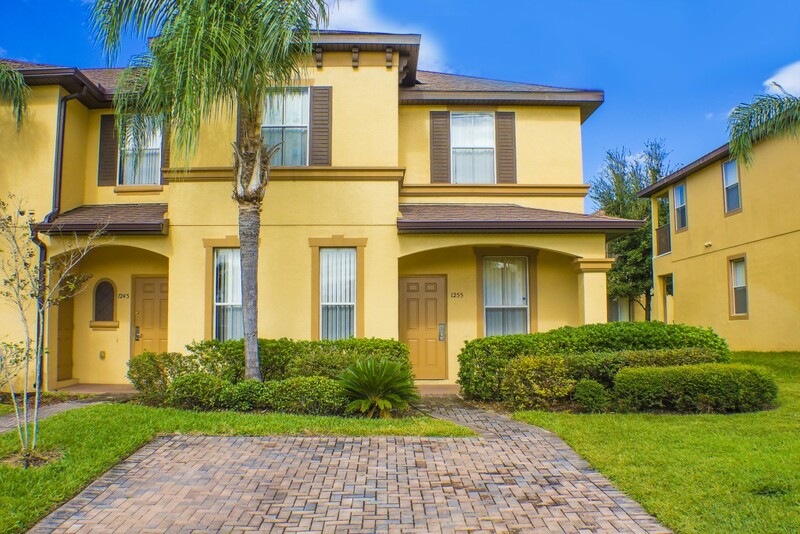 Orlando4Villas opinion, Regal Palms Resort offers all the entertainment needed for a perfect family vacation. 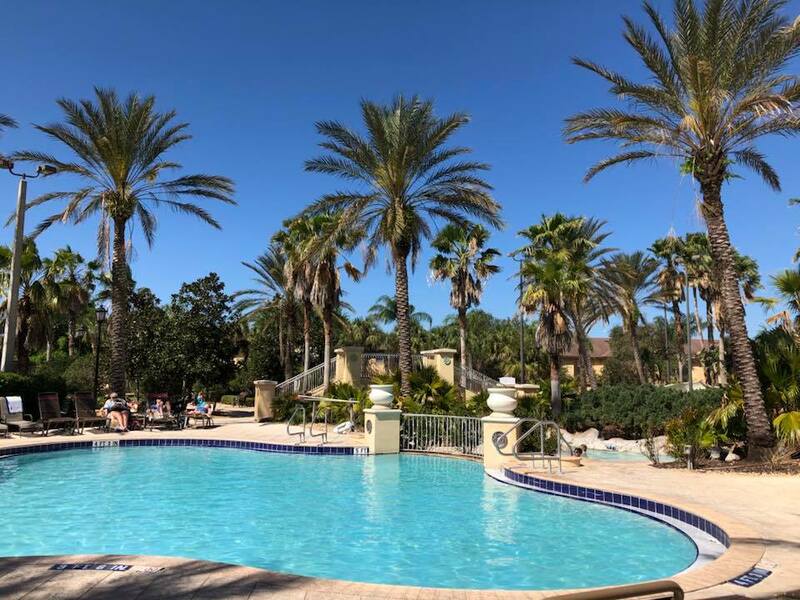 The community has more than enough for a family holiday, with water slides and river rapids to bouncy castle nad beach volley ball, you can enjoy the community outdoor area when it comes to pool BBQ's and pool partys with a long lasting pool bar. 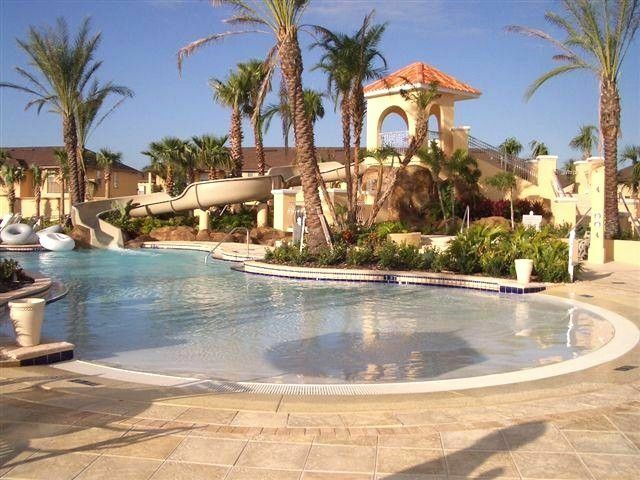 Orlando4Villas has the large selection of vacataion homes available for rent Regal Palms Resort.